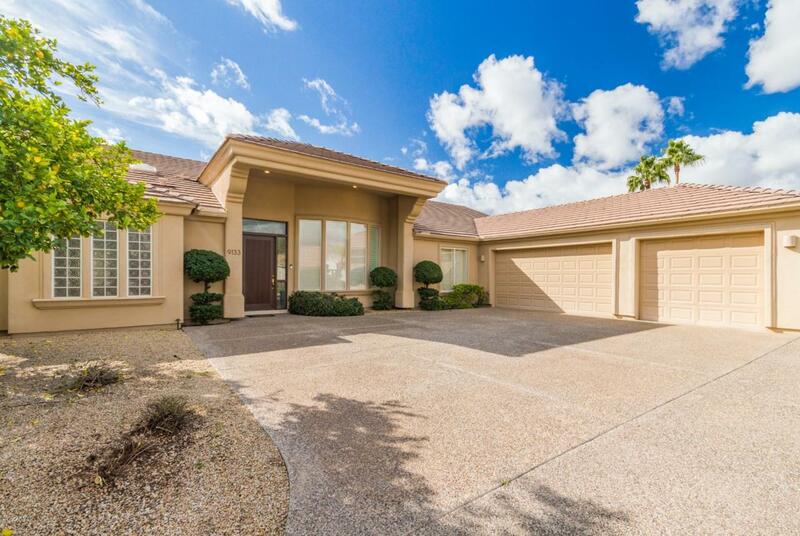 Spectacular corner lot in Scottsdale's coveted gated community, Tarantini Estates. This 4 bed, 3 bath, 3,454 sq. ft. home is built with an updated, expansive great room including built in fireplace & integrated dining area. The newly updated kitchen has granite countertops, breakfast bar, center island w/ electric cooktop , refrigerator, built-in microwave, wall oven, custom cabinetry, & pantry. Enjoy the enviable wet bar attached to kitchen. You'll find the split floor plan adds privacy to the cozy master bedroom retreat with romantic fireplace, walk-in closet, and master bath displaying double sinks, custom cabinetry, separate walk-in shower, bath with jets, and private toilet. Huge laundry room w/ tons of storage & utility sink, backyard pool, and a 3 car garage with circular drive. Listing courtesy of Riddle Realty.